Rentec Direct is pleased to partner with Sure to help customers purchase and manage insurance policies offered from the leading providers like Nationwide, Chubb, Markel, AmTrust, QBE, Hartville, Marsh, and Assurant. Can I require my tenants to get renters insurance? This is where renters insurance from Sure for Rentec Direct can help. The new renters insurance features from Rentec Direct lets you establish renters insurance requirements for each property and tenant. If your tenants already have a renters insurance policy, they will be able to submit proof via the Tenant Portal for you to track compliance. Rentec Direct landlords and property managers will have tools to track which properties require renters insurance and which tenants have fulfilled the requirement. Tenants can purchase insurance online via our portal to Sure or can send proof of insurance to be entered into the system. Notifications will alert you and the tenant when insurance is due or when an existing policy will expire soon to allow plenty of lead time to renew. The first step is to determine which of your properties you want to require that tenants have renters insurance. To set up the insurance requirements for the property, visit the Properties Tab, select the property you want to adjust. Right click on the property to access the Edit Property page and scroll down to the Financial section. You will see a new “Insurance Required” option. Use the selector to determine the property’s insurance requirements. $100,000 is the most common required amount for landlords of single family and multi-family dwellings, and currently the only option offered by Sure. If you require your tenants to have more than $100,000 in liability insurance, they will be promoted to upload proof of coverage from their own carrier via the Tenant Portal. If you wish to allow tenants to purchase insurance online via the Sure app insurance portal, choose the 100,000 option. When you choose other amounts (250,000-1,000,000) it tells the system that you want the tenant to send documented proof of insurance purchased through another agency. If you select “None”, insurance is not required but the tenant may still optionally purchase insurance for the property on their own. This will not be reflected in your Administrative interface, since there is no requirement to send you the documents. which have electronically sent you proof of renters insurance documents for review. Each notification contains a link to easily jump to that tenant’s insurance details. You can view and edit the tenant’s insurance details by clicking a link from the summary notification of by right clicking on a tenant in the Tenants Tab and selecting “Edit Tenant”. If a tenant has provided physical proof of insurance to your office, you can enter the information manually. If the tenant has uploaded digital copies of proof to the tenant portal, you can update the insurance requirement. If the tenant has applied for insurance via our Sure insurance agent partnership, the insurance details will be obtained automatically by the system to minimize work on your part. Note that you may also waive insurance requirements for specific tenants in a property by unchecking the Insurance Required checkbox. We have partnered with Sure, an insurance agency that provides an online portal for insurance applications. To give your renters the easiest way to find and purchase renters insurance, we’ve created a connection between the Rentec Direct Tenant Portal and the Sure. Now, the Tenant Portal will provide options both for online insurance purchase as well as document upload. The online purchase greatly reduces your workload by automating delivery of proof of insurance to the Rentec Direct system. The Tenant Portal now features options for insurance purchase as well as status updates for the application process or for active insurance policies. 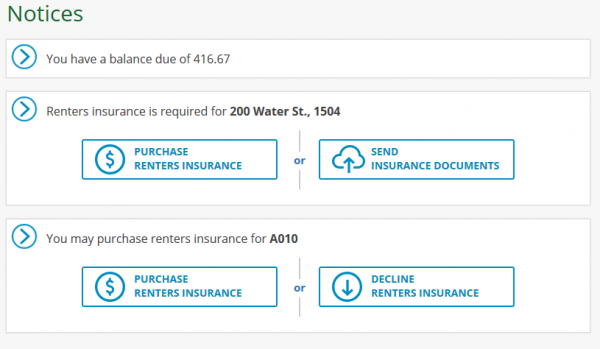 In the following screenshot, the renter is required to purchase insurance for one unit, while the second unit is optional. 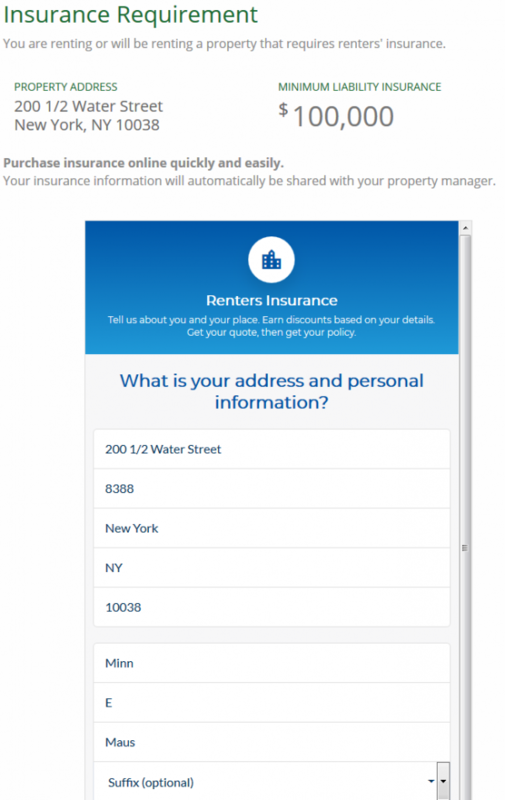 When the renter chooses to purchase insurance online, our Sure App partner portal is presented. Through Sure, the renter completes a questionnaire that is used by the broker to determine rates. Tenants can select from a variety of the top insurance providers for a policy that fits their needs. Completing this process creates a pending insurance record that will automatically be activated in the Rentec Direct system when confirmation of the purchase is received from Sure. If the renter chooses to cancel the insurance policy, the system will be automatically notified. If the tenant purchases renters insurance elsewhere, they may still upload a copy of the insurance statement for entry into the Rentec Direct system. 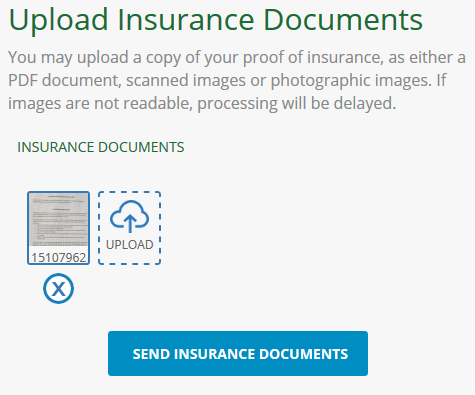 They may select a digital copy of the insurance page for upload from their computer or take a photo with a mobile phone. The Tenant Portal features are available in the new Resident Connect mobile app, ensuring the greatest ease of access for your renters. 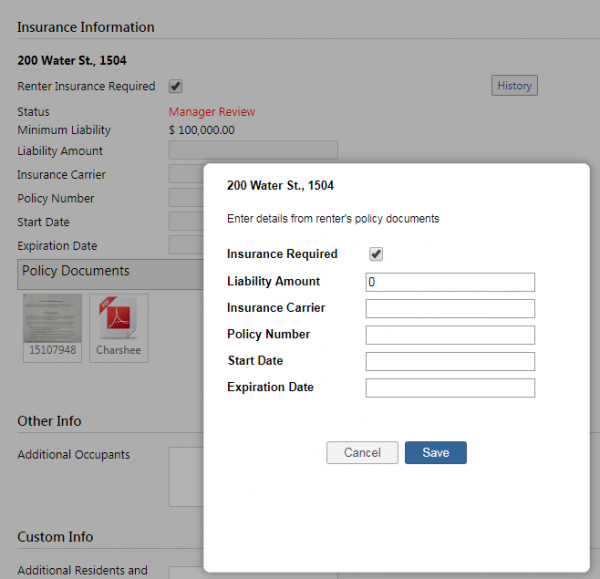 The addition of renter insurance management to the Rentec Direct system is due to suggestions from customers like you. We value your ideas and suggestions for improvement. Please leave a comment or contact us with your ideas or needs so that we can make Rentec Direct the best property insurance management software to serve your needs. If you have questions about renters insurance, your success team at Rentec Direct is always happy to help. Contact us at success@rentecdirect.com, 800-881-5139, or via live chat in your software during normal business hours. The integration with Sure has been thoroughly tested and is ready to go. However, because it’s a new product for us, we’re releasing it in beta until we’ve had a few months of experience with it. Please report any issues to success@rentecdirect.com.